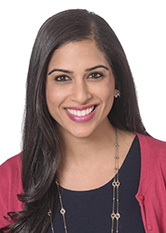 Suneet (Neetu) Bawa represents lending institutions and borrowers in commercial financing transactions and reviews financing documents in connection with private financing. She prepares and negotiates loan documentation and supporting agreements in connection with commercial financing transactions. Ms. Bawa has experience in drafting and negotiating contracts including commercial lease agreements, real estate sale agreements, and ground leases. She also has experience drafting and negotiating contracts and requisite agreements in connection with the purchase and sale of commercial and residential property, condominiums, and cooperative units. Additionally, Ms. Bawa counsels corporate entities in general matters and represents them in the acquisition and sale of businesses. She has drafted and amended corporate governing documents including operating agreements, by-laws, shareholder agreements and membership interest purchase agreements. She also has experience drafting and negotiating asset and stock purchase agreements, NDA/confidentiality agreements, employment agreements, vendor agreements and licensing agreements. During law school, Ms. Bawa was awarded the CALI® Excellence for the Future Award for International Negotiation and Dispute Settlement. She also served as an Editor of the Hastings International and Comparative Law Review and participated in the Hastings Homeless Legal Services program. While at UCLA, she served as fundraising chair of the pre-law fraternity, Phi Alpha Delta. Ms. Bawa is a member of the New York State Bar Association and the South Asian Bar Association of New York.